The Deep Forest is a role-playing game based on the idea that a group of monsters have driven off the humans and reclaimed their land. They have one year before the Heroes will return, and the monster’s time will end. Until then, it is the monster’s opportunity to make the area their own. This is actually a version of Avery Mcdaldno’s The Quiet Year. 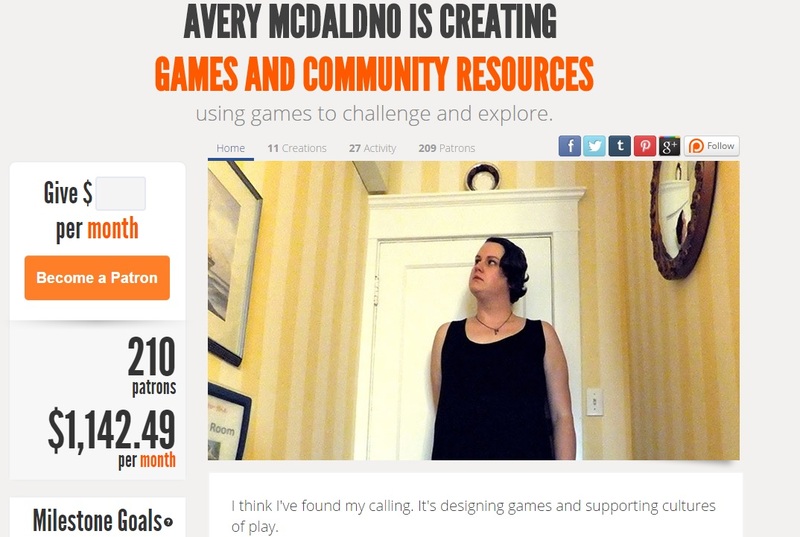 With the help of her Patreon, Avery was able to work with fellow game designer Mark Diaz Truman to release The Deep Forest. While in The Quiet Year you play as a human community with a period of peace before the ominous Frost Shepherds arrive and end your time there, The Deep Forest encourages you to consider colonialism and its affect on the conquered, humanity and monstrosity, and what it means to feel safe. The instructions are really simple and clear. You take turns reading aloud from the page. I’ve found this really helps everyone get into the right mood. This is a quiet, introspective game. You won’t find your typical hack ‘n slash role-playing happening; it’s more likely you’ll be discussing the best place to locate a nursery for baby monsters. The Deep Forest is a map drawing game. You play as monsters, both the community as well as some individuals. Everyone draws on the map, but no words are allowed, only symbols. First you draw a landmark the humans left behind, then you chose what monsters are there and draw their home base, adding in details as you go along. Since you’re starting off with the remains of the human culture, some of their things and behaviors are kept, and some are shunned. These are noted on an index card as Adoptions and Taboos. The dice track projects. You announce the project you want to create, then negotiate how many weeks it will take to complete. The dice counts down until the project is complete. Each player’s turn is one week. The suits of the cards represent the seasons, with hearts as spring up to spades as winter. When you draw a card, you then consult the sheet named the Oracle to see what choices you have for that week. The cards track your progress through the seasons, and the game ends when the King of Spades is drawn. In the game I played, we had cliff gargoyles and phookas living on the edges of a human settlement that centered around a floating obelisk and a ruined amphitheater. The amphitheater was our Taboo, and no one went there. Some monsters embraced the human’s ritual of gathering in the morning to sing to the obelisk, and that was our Adoption. We discovered a pyramid that allows travelers to go to other planets, and there was a new monster who lived on top. He was called the Watcher. Everything was fine and dandy, until we discovered that the Watcher was starving to death, as he eats the energy given off by humans. So the cliff gargoyles found a cloning facility that was powered by a strange ore, and they set up a project to repair the mining operation so we could clone humans for the Watcher to eat. By this time the Mi-Go had shown up and started making trouble, and the next thing you know there’s a group of humans camping around the floating obelisk, a hunger-mad Watcher decimating their ranks, and a dead phooka. You don’t tell a full story with this game. Your ending is always cut short by the Heroes arrival, and you start a little after what would be the first chapter in a story. If you’re new to role-playing, don’t let your drawing skills get in the way of having fun. Things may be erased or drawn over, so focus more on the experience than trying to make the map look good. If you’re a role-playing veteran, remember that you’re playing a community as well as individuals, and that they do not belong solely to you. Anyone can speak for any group. Disclaimer: I’ve had a chance to meet and play with Avery, and she is very encouraging towards my own game design efforts. I have played her games before then, and always been impressed by her work. In short, she’s just as amazing as you think. Wow, I’m going to find some people who will play this with me. I love what they’re trying to do and I hope more games take on the challenge of challenging their players to think.